I read the below in an StarTribune article about the Ryan parking ramp tower becoming residential. My question for the forum is how does Minneapolis attract more office tenants? Personally, I feel like the city could be more aggressive in networking and selling our Downtown to pull tenants from the suburbs. I read in the past that RT was part of the reason Wells Fargo chose Downtown East over a suburban location. Will the SWLRT help or hurt? What barriers keep suburban tenants from Downtown? "The change in the tower makeup from office to rentals is reflective of the overall Twin Cities real estate market. There has been a frenzy of new apartment-development proposals as vacancy rates remain low with the average apartment vacancy rate in the Twin Cities at 2.2 percent by the end of June, according to Marquette Advisors. 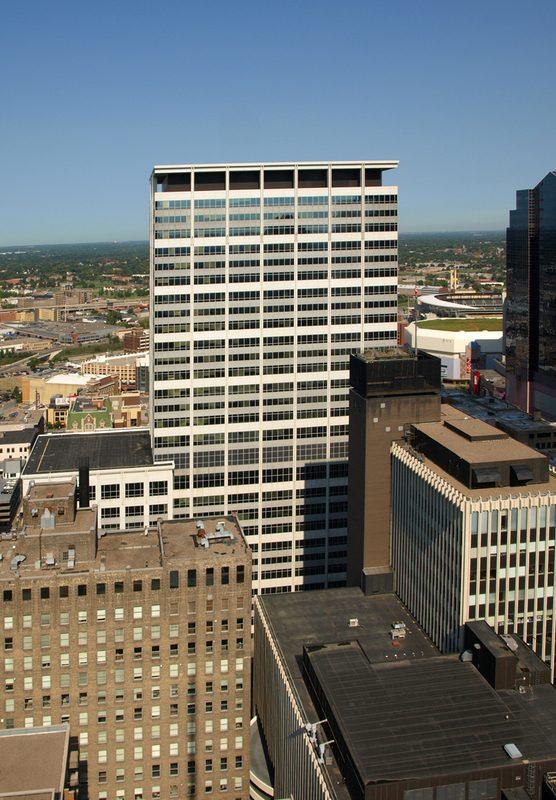 On the flip side, downtown Minneapolis has a significant amount of vacant office space on the market with many companies consolidating their space and some choosing to build their own single-tenant offices. According to the summer Compass report from Cushman & Wakefield, Class B space vacancy was 26.3 percent and Class A vacancy was at 14.5 percent in downtown"
There is a secular decline in office space demand. Outside of the Bay Area and Amazon there just isn't a robust office space market. I can only say make downtown desirable to live and maybe people will demand to work there as well. I’m guessing the problem is not that Minneapolis is losing office tenants, but rather they’re all squeezing down into open space plans, which use much less space. So the whole market has contracted. Someone from Digi told me when they were planning their move, they hired an office consultant who told them their previous location, designed to 80s sensibilities, had three times as much space as they would need in a modern office space. So I imagine every moving company is learning something similar every time they consider switching locations. Seems like office consolidation would lead to a greater density of workers on the positive side. However, you need the tenants to start with. Also, remember that these numbers only include office space that is for lease. So when somebody like Wells Fargo builds a new company owned building, and they move a bunch of workers out of leasable space and into that company owned building, it appears that there's been a massive exodus of workers out of leasable office space. And there's been quite a bit of that type of thing happening in downtown lately. Many companies (my own included) have moved to a flex system as well. Unless you are in the office 18+ days per month, you do NOT get an assigned cube/office and must reserve a cube/office every time you go in. Many more people are working from home 3, 4, or 5 days per week. This has resulted in a huge decline in office demand in the CBD despite growing employment figures, at least in my industry. Anecdote. The company I work for is moving “soon” and we are downsizing space without downsizing people. It’s definiely a trend. Some of my friends are starting to have the option to work from home 2-3 days a week. The “office” model is changing. This is wild because my I work in IT at the U and we can't even got any kind of work-from-home on days when the weather makes commutes slow and dangerous, because we're stuck in the 60s. Downtown also just isn't good for some kinds of companies depending on their space needs, like if you have an attached warehouse, production/shop floor, R&D lab, etc. Some companies like to keep all of that together rather than splitting up locations. This is a large part of why my company won't move downtown. Same for my company. I've worked for a consulting firm downtown for 21 years. We had 250 ppl when I started but we have 800 now. We went from 2.5 floors to 6.5 floors. Most employees work from home at least one day a week. Some people who used to have private offices now have cubes; some people who had cubes now have what amounts to a desk. We've also gone to hotelling for some staff members, which is NOT popular. I wonder if that trend might reverse when management realizes its better for everyone to have a space that is theirs alone, even if a small one. I don't see a huge increase in office space demand unless the trend of suburban firms moving downtown increases. Its a shame United Health did not build a major tower downtown for executives, marketing, finance, etc. and keep "back office" space in Eden Prairie. U.S. Bancorp’s 31st floor, prior to the renovation, was used for mechanical equipment, storage and for building engineer offices. Piedmont’s general contractor, Kraus-Anderson Cos., is cutting out the dark brown louvers that wrap the floor on the outside of the building. The louvers will be replaced by 20-foot-tall windows offering spectacular views. There will also be a mezzanine level around the lounge. I suppose that this is cheaper than building a new tower! I work in one of the premiere towers in the CBD, designed by a famous architect and adorned with fancy materials, but I sure wish it had some of the amenities that newer buildings are getting such as fitness centers and bike rooms and the rest. I used to work in the Wells Fargo Tower. Always loved walking into that beautiful lobby but always longed for the amenities, mostly an exercise facility, of other buildings. Shipt is grabbing 60,000 sq ft in a tower in Birmingham with it's name on top. Given that Target owns them it would have been nice to have had them move here. Labor is probably cheaper there however. It makes sense to keep them there given that's where they started. But yeah, it is cheaper too. One article I read said that the average salary would be $48K, which goes a lot farther in AL than it does here. From what I've read about this previously, it sounds like Shipt is pretty deeply connected to Birmingham, and so they never seriously considered moving as part of the acquisition. When Amazon buys Target, hopefully Target will stay based in Minneapolis.